The next Swiss Juggling Convention 2013 will take place in Aarau Rohr, in the german part of Switzerland. The flyer of the convention, in German, French or Italian with a small map of the location. From Friday the 7th to Sunday the 9th of June 2013. - Sportanlagen Friedhof Auenhalle. Plan at 100m ; Pan at 50m. 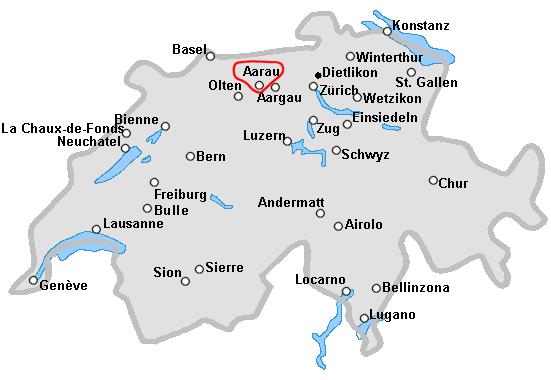 - Location of Aarau Rohr with Google maps. 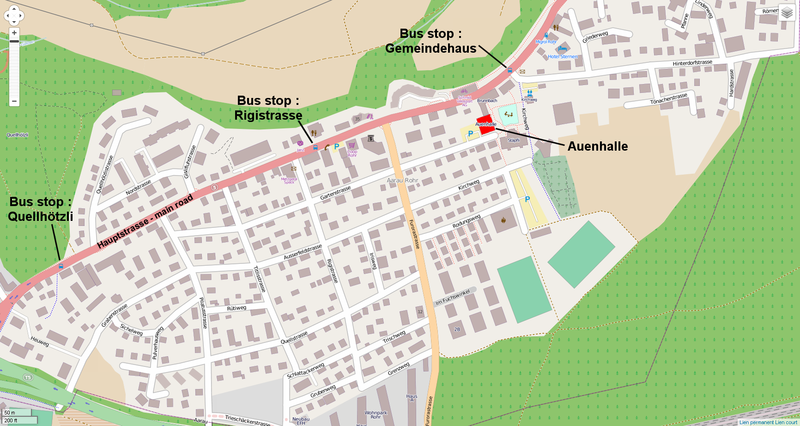 Location of Aarau Rohr with OpenStreetMap. You can also search for "Aarau Rohr", in Google earth. "Protection civile" bunker = "Zivilschutzanlage", CHF 15.- per person and night. Take your sleeping bag. It's not possible to sleep in the gym. It's possible to camp for free next to the Gym. Friday evening, some local meat will be grilled. Other food, such as vegetarian one can also be grilled. The breakfest von saturday and sunday will be organised by the local team. Other meals possibilities will also be at disposal on place. - Participation at the Festival is free. - Smoking inside, on the outside places and in the dormitory room "Zivilschutzanlagen" are not allowed ! Think at the kids that are also taking part at the festival. 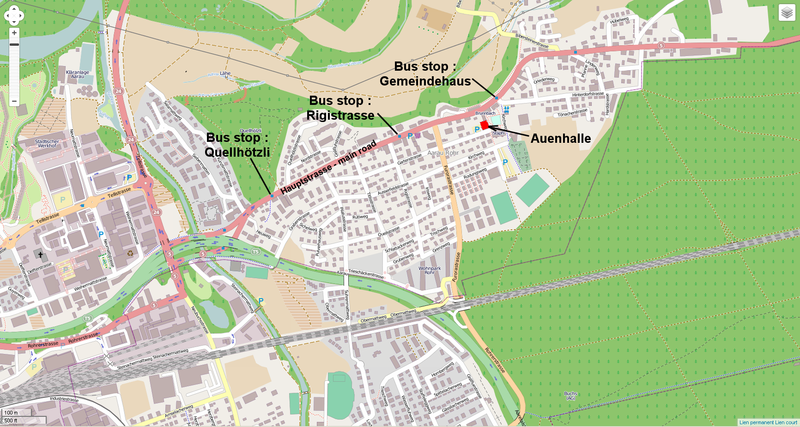 From the train station of Aarau, take Bus N° 2 direction "Aarau Rohr" until the bus stop "Rigistrasse" or the bus stop "Gemeindehaus". From all directions, take the exit of the motorway "Aarau Ost" (Aarau East). Then take direction "Rupperswil". At the end of the road "Seetalstrasse", turn left to take the road : "Aarauerstrasse" direction "Aarau - Rohr". Follow the main road on about 3,5 km. In "Aarau Rohr", turn left, direction "Buchs", follow the pannels indicating the parking "Sportanlagen, Friedhof, Auenhalle". See the maps given above. - Welcoming the jugglers. Begining at 17:00. - Sleeping in the "Zivilschutzanlage" or in the camping. - 14:00, "Business Meeting", discussion about the future. - cleaning and returning home.